Hi everyone – Happy Friday! I am very excited that the work week is winding down and it’s time to hang out with family. 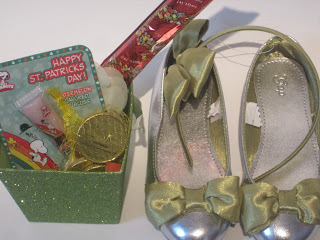 Plus, one of my favorite holidays is this weekend – St Patrick’s Day! What’s an Irish girl like myself going to do? I’ll be sure to report back here on all the fun St. Patty’s Day plans I have for the weekend! On TV- I will give a small shout out to The Bachelor since it has sucked up two hours of my life every week for the past ten or so weeks…my predictions – Catherine and Sean will last long enough for her to clap court side during his stint on DWTS and then US Weekly will start reporting trouble in paradise. My pick for Friday Favorite is Grey’s Anatomy! Thank you Shonda Rhimes – this week reminded me of why I love this show – finally the who is buying / taking over the hospital storyline is coming to a close! 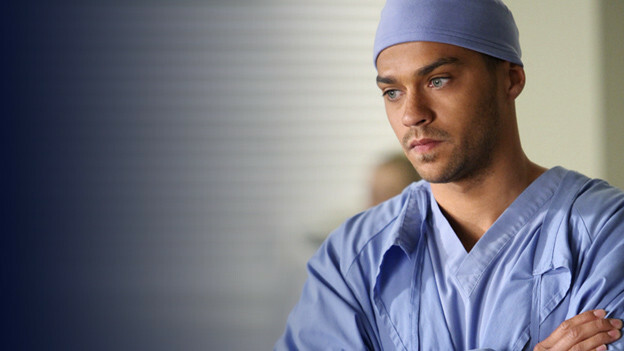 And there is a new McHottie in town – Dr Jackson Avery is now not only fine, but also in charge! Countdown to April when two of my favorite shows come back on –Mad Men Season 6 and AWKWARD. Season 3! I have been a faithful reader of les petits presents blog for years. When I had Olivia, I couldn’t wait for her to be old enough so I could start a St. Patrick’s Day tradition I learned from this blog. Check out what leprechauns leave the night before St Patty’s Day! Lucky Little Leprechauns and That’s a Wrap. 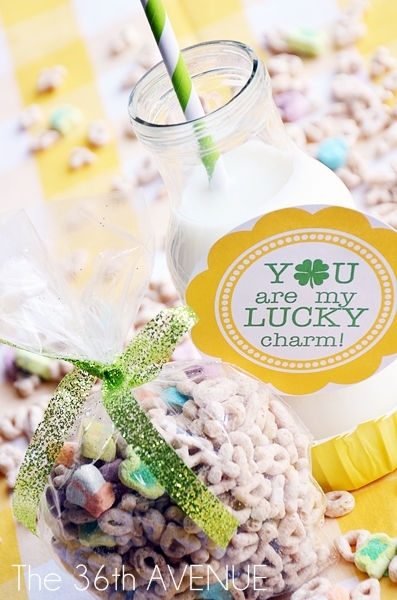 A variety of fun St. Patty’s day printables on spoonful.com to use for gifts, candy bars, soda bottles, or cupcakes. Pinterest sent me an email suggesting this would be a pin I like — guess what Pinterest? You were right! 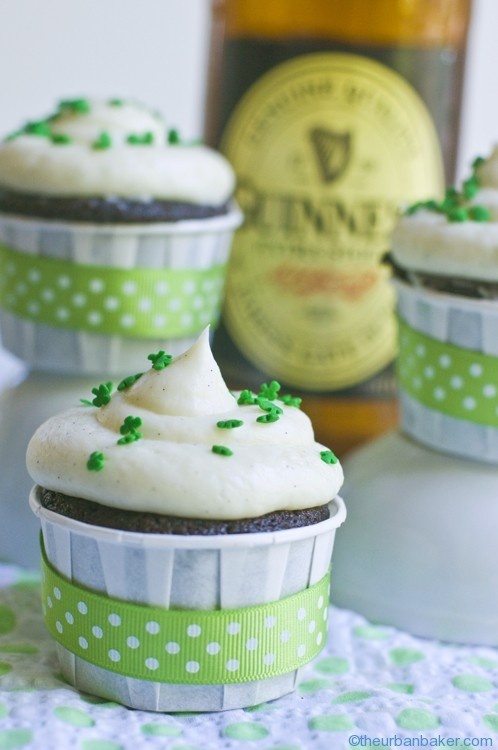 Originally from theurbanbaker.com and pinned by Pottery Barn’s Board – Luck of the Irish – Chocolate-Stout Cupcakes topped w/Vanilla Bean Buttercream. I would love to hear all about your favorite things from this week! What have you been watching, reading, crafting, and baking? Any special plans for the weekend or St. Patrick’s Day? If you leave a comment you may be the lucky person who wins a prize for making the 400th comment! Have a great weekend and Happy St. Patrick’s Day!